Taking notes may sound like one of the easiest parts of school, but that may not be true at all. Yes, taking notes is easy, but taking good notes takes strategy and planning. To help your child take the most useful class notes, check out these tips. 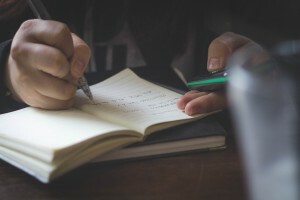 Many students think that taking effective notes means writing as much as possible. Not only will this result in messy and unreadable notes, it can also lead to them not understanding the lesson at all. What your child should practice is active listening during each lesson. This means they should listen to the lesson in order to ensure they understand what is being taught while only writing down the most important parts. Once your child has their notes, they can benefit from rewriting them or typing them up. Doing this will allow them to clean up their notes and add important information to incomplete sections. Not to mention, rewriting their notes will give them a refresher on the lesson, making it easier to retain the information. There is a ton of different note taking methods your child can try out until they find the one that works for them. The Cornell method is one that is often taught in schools, but there are other options that may work better for your child. Help them explore their options until they find what works best for them. Tutoring in Troy isn't just about learning lessons, it can also help your child develop better academic skills, including note-taking skills. The Tutoring Center, Troy MI offers a number of great academic programs that can help your child reach their academic potential. To learn more about these programs, give their learning center a call at (248) 509- 7177.